There is a new hope for cancer patients as an engineered virus can target cancer cells when injected into the blood. The virus only attacks the tumour without affecting the healthy tissues of the body. 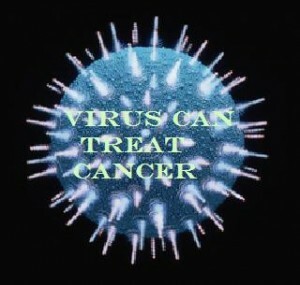 Using virus to treat cancer is not new as many doctors inject the virus directly into the tumour to treat the patient. This virus only attacks the cancer without affecting the immune system of the patient. This new study shows promise as the virus is injected directly into the blood and it does not affect the immune system. Since it is injected into the blood it can help in treating multiple organs that have been affected by cancer. Researchers have modified the vaccinia virus which is being used to develop vaccine for smallpox. This virus is dependent upon the chemical pathway that is common in certain cancer cells in order to replicate their path. Professor John Bell, from the University of Ottawa and lead said that he was very excited because it is the first time that viral therapy is showing signs of attacking cancer cells after it was injected in humans. However, the virus cannot cure cancer but only prevent further growth of cancer. Since the research was conducted to test the safety of the virus, the patients were given only one dose. Most experts believe that the research is still in its early stages and it will take a few years before this treatment is commercially launched in the market. However, these experts are of the view that this research can change are approach and method of treating cancer.